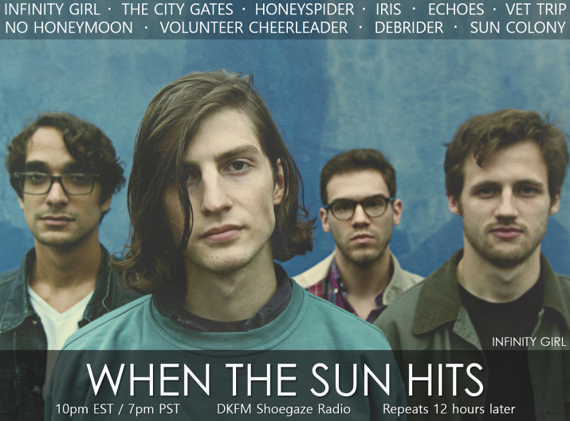 WTSH kicks off in less than 1 HOUR! 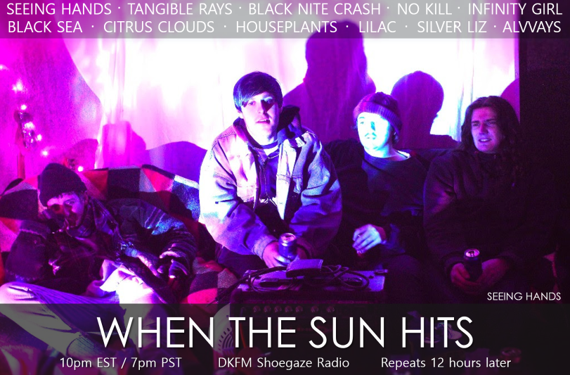 Expect fresh tunes by Seeing Hands, Black Nite Crash, No Kill, Houseplants, Silver Liz, Citrus Clouds, Tangible Rays, Black Sea, Infinity Girl, Knifeplay, Volunteer Cheerleader + MORE! Stay tuned in for an exclusive Morelings feature and Muso Asia! Lacing is a Tennessee-based 4-piece comprised of Joe Davenport (guitar/vocals), Jerry Reed (drums), Robert Parker (guitar), and Joseph Micolo III (bass). 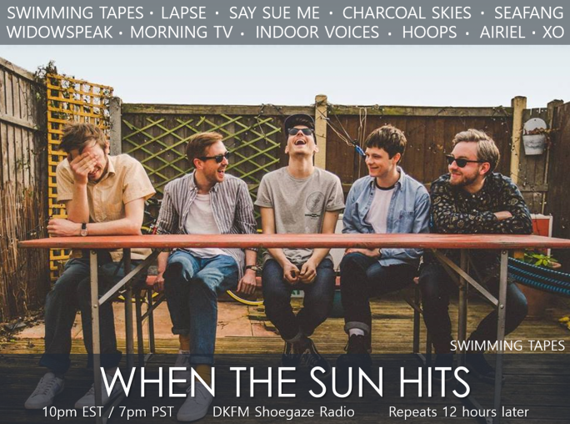 They first caught our attention last year, after releasing their majestically dense debut EP, Honey Glow. Back in June we premiered their new tune, “Summer”, which is the lead single from their just-released debut LP, Bummer. We’ve been looking forward to this album for months, and it does not disappoint! 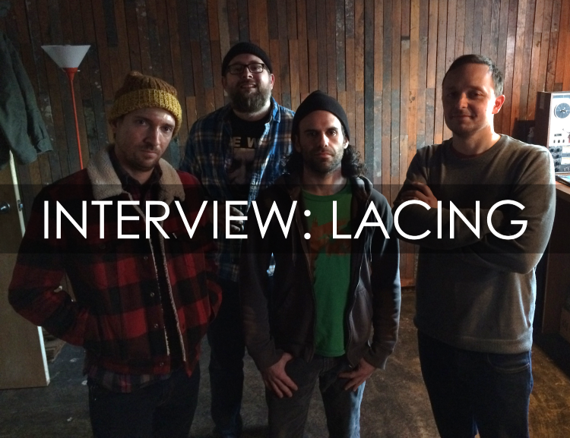 If you’re a fan of stonergaze, slowcore, sludgy pop, swirling noise, epic drums, and other generally deafening/awesome aural journeys, Lacing is for you. Enjoy getting to know more about them! JD: Lacing formed in the spring/summer of 2015. I'd been doing this solo harsh noise/shoegaze project called Millipede for a decade and decided I wanted to try to write actual songs in that style. Jerry Reed and I had bonded over both being new dads at the same time, both being in the local noise scene and playing shows together here in Chattanooga, and of course our mutual obsession with Slowdive. He played drums in two of my favorite local bands, Gravebound and Rough Rope. He plays LOUD, which is a thing I've always been super into...I've always been into bands with good drummers who play loud. We knew Joseph Micolo from the local noise scene doing his Segaworms project and the more beat driven GTRUK and knew he played bass so we asked him to join. Robert Parker was a friend of Jerry's from way back and they'd been in a bunch of bands together. Rob was in this awesome shoegaze band called SWOON that released one EP and then broke up right before we started Lacing so we were lucky in that regard because we were able to bring him in right at the beginning. Can you tell us what the band has been working on and what you've got forthcoming in the future? JD: Earlier this year we recorded our first full-length. It's called Bummer and it just came out September 15. You can get it from us directly through Bandcamp and also the label, which is called Elder Magick. The digital version is a pay what you want/free. 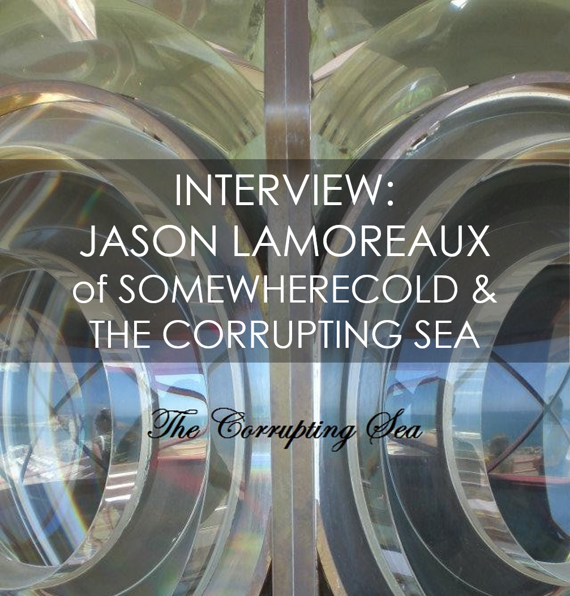 We recorded it back in February with Scott Minor of Sparklehorse and our friend Carey Balch helming production and mastering duties respectively. We're about to start recording songs for a split with our homies in Chicago shoegazers Lazy Legs (recently relocated to Portland). After that we'll continue writing for another album with the goal being to get back in the studio in 2018. We've also been batting around the idea of doing a covers EP but so far haven't decided on what songs we wanna do. And as far as the near future goes, hopefully expect to see a video for a song or two from Bummer. 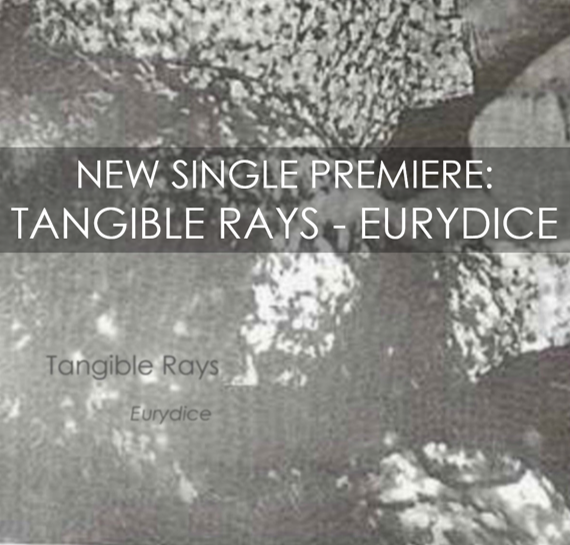 Tangible Rays is the solo project of Ohio-based Rob Fiorenzo. We’re big fans of Rob’s lo-fi shoegaze aesthetic and psych-tinged pop sensibilities (I named sophomore LP Séance one of my top 5 albums of 2017 thus far on a collective list published by DKFM), so naturally we were excited (understatement) to hear a new single was on the horizon. Rob mentioned in passing a few weeks ago that he was interested in exploring new aural territory, and we were anxious to discover how that desire played out. Enter new single, “Eurydice”, released yesterday via Bandcamp. Stylistically, “Eurydice” is something of a departure for TR – or at least, it feels that way upon first listen. Instead of being greeted with a dense swath of lo-fi fuzz, it opens with a simple synth melody that almost feels quirky, mostly because of how unexpected it is. Straight out of the gate, TR brings us to a new place. The song begins with a fairly sparse arrangement of Microkorg and vox, displaying a new restraint with regard to the sonic palette. Gone is the familiar guitar squall, replaced by graceful golden tones and a laidback lo-fi beat that underscores Rob’s deftness for pop constructions. Once the wholly unexpected (and totally perfect) guitar drop happens at around the 40 second mark, I stop trying to figure out what’s happening and just let it happen. A precise and gilded pop gem reveals itself. It ends too soon, so I start it over. I do this about 20 more times, consecutively. "Pick Yourself Up" is taken from this New Jersey-based 4 piece's Down on Sunset Strip release, which came out back in March. 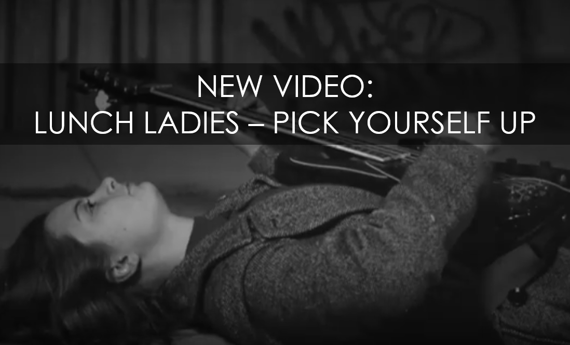 We highly recommend their lovably awkward and charming LP, and the new video perfectly suits the toe-tapping catchiness of this particular tune.